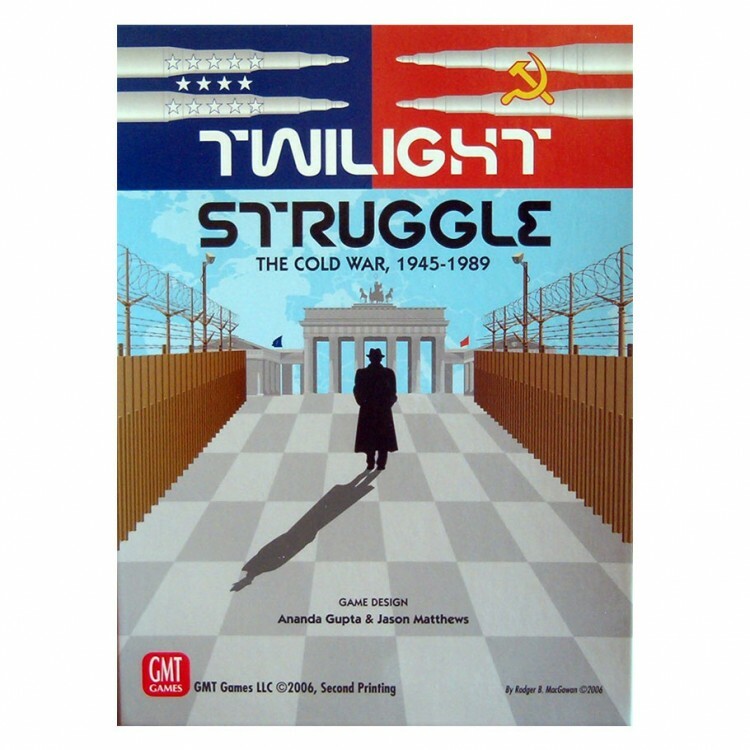 This Deluxe Edition of Twilight Struggle seeks to capture the feeling of that earlier era.Twilight Struggle is a two-player game simulating the forty-five year dance of intrigue, prestige, and occasional flares of warfare between the Soviet Union and the United States. Twilight Struggle recreates the conflict between the most powerful nation states the world has ever known. The scope of the game covers the entire world as it was found in 1945.Players move units and exert influence in attempts to gain allies and control for their superpower.